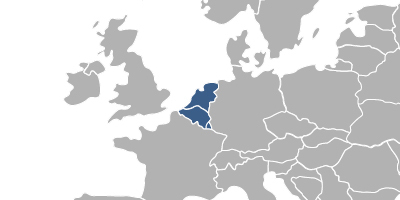 Industrial design registration in Benelux means design protection in three member states of Benelux Union – Belgium, the Netherlands and Luxembourg. Fees associated with filing the industrial design applications in Benelux, as well as other design fees, are available in the fee calculator. It is possible to cover several designs (a maximum of 50 embodiments) in one design application in Benelux. Benelux industrial design applications may be filed in Dutch, French or English. - priority details (if applicable). To confirm the priority right, a copy of the Priority Document must be provided simultaneously with filing an industrial design application in Benelux or within a month from the date of filing. English translation thereof is sufficient. The POA form is usually not required for registration of industrial design in Benelux. However, it may be requested by the Office and shall be furnished within one month or within a grace period of one month. The term for filing an industrial design application claiming conventional priority is six months from the priority date. The design application in Benelux undergoes formal examination only. The novelty of an industrial design in Benelux will not be disproved if such disclosure has been made by the designer or his beneficiary or resulted from an abuse in relation to the designer or his beneficiary and has taken place within 12 months before the date of filing (or the priority date). The filing fee includes grant fee. A design registration in Benelux is valid for five years from the date of filing of an application and can be renewed for four consecutive periods of five years. The maximum period of protection of an industrial design in Benelux is 25 years. The renewal fee shall be paid during the 12 months before expiry of the registration or within a grace period of 6 months for which a surcharge applies. To confirm the priority right, the copy of the priority document must be provided simultaneously with filing industrial design application in Benelux. English translation thereof is sufficient. The registration procedure takes approximately 4 months. If an applicant resides outside the Benelux countries, it is recommended to perform a design prosecution through an agent, a registered patent attorney having a place of residence or registered office within the European Union or the European Economic Area. 1. Online Search Databases: Benelux Designs, International Designs. 2. Industrial design protection in Benelux countries may also be obtained via registration of a Community Design or by designation in an international design application.